Organised by Council on Tall Buildings and Urban Habitat (CTBUH), the 2019 Tall + Urban Innovation Conference was successfully held from 8–10 April 2018 at Grand Hyatt Hotel in Shenzhen, China. Over 800 delegates from more than 40 countries attended to this industrial event. The annual CTBUH Tall + Urban Innovation Conference explores and celebrates the very best in innovative tall buildings, urban spaces, building technologies, and construction practices from around the world. As well as picking up awards for our projects, several of our experts were invited to present or adjudicate at this prestigious event. Vincent Tse, WSP Managing Director, Building MEP, China Region presented on “The Benefits of a Tri-Path Underfloor Air Distribution System in a Tall Building” for Salesforce Tower, San Francisco. Vincent also chaired a discussion session on Fire & Risk Engineering Award. Henry Huang, WSP Director, Structural, China Region presented Hanking Tower’s Offset Core – A Structural Challenge in which he discusses the structural engineering challenges posed by the offset core as well as the creative structural solutions provided to achieve Morphosis’ vision for the tower in an efficient and constructible way. In a separate session, Henry presented on the challenges and solutions in designing “The World's Tallest Offset Core” for Hanking Center Tower, Shenzhen. Caroline Fenlon-Harding, WSP Senior Vice President , San Francisco delivered a presentation entitled “Two Programs, Two MEP Systems, One Building” where different systems were designed for the residential and commercial areas for 181 Fremont, San Francisco. Gary Pomerantz, WSP Executive Vice President, New York was one of the CTBUH MEP Engineering Award judges. From left: Vincent Tse, Caroline Fenlon-Harding and Gary Pomerantz. Vincent Tse presenting on “The Benefits of a Tri-Path Underfloor Air Distribution System in a Tall Building” for Salesforce Tower, San Francisco. Henry Huang presenting on “Hanking Tower’s Offset Core – A Structural Challenge”. Henry Huang (third from right) with the Hanking Tower project team. Gary Pomerantz (second from left), Caroline Fenlon-Harding (fifth from left) and Vincent Tse (sixth from left) with the Salesforce Tower project team. Don Pan (left) and Herbert Lam (right) were at the event. Also at the event were senior members from our China Property & Buildings team including Don Pan (Managing Director, Buildings, Greater China) and Herbert Lam (Executive Director, Building MEP, China Region). During the three-day conference, nine WSP projects picked up awards including the prestigious “2019 Best Tall Building Worldwide” award. Salesforce Tower, San Francisco, USA named “2019 Best Tall Building Worldwide”, “Best Tall Building Award - 300-399 meters” and “Award of Excellence Winner for MEP Engineering” categories. WSP was the MEP consultant engineer for this project. CITIC Tower, Beijing, China won the Award of Excellence Winner in the “Best Tall Building 400 meters and above” and “Structural Engineering” categories. WSP was the MEP and vertical transportation system consultant engineer. China Resources Headquarters, Shenzhen, China received the Award of Excellence Winner for “Best Tall Building 300-399 meters” category. WSP was the MEP and vertical transportation system consultant engineer. Hanking Center Tower, Shenzhen, China received the Award of Excellence Winner in the “Construction” category. WSP was the Structural, MEP and vertical transportation system consultant engineer. Jumeirah Nanjing Hotel & Cultural Centre, Nanjing, China received the Award of Excellence Winner in the “Best Tall Building 300-399 meters”, “Interior Space” and “Construction” categories. WSP was the MEP and vertical transportation system consultant engineer. One Shenzhen Bay, Shenzhen, China received the Award of Excellence Winner in the “Urban Habitat - District/Master Plan Scale” category. WSP was the MEP and vertical transportation system consultant engineer. 181 Fremont, San Francisco, USA received the Best Engineering Award Winner in the “Structural Engineering” and “Geotechnical Engineering” categories; Award of Excellence in the “Best Tall Building 200-299 meters”, “MEP Engineering” and “Fire & Risk Engineering” categories. WSP was the MEP consultant engineer. Tanjong Pagar Centre, Singapore received the Award of Excellence Winner in the “Urban Habitat - Single Site Scale” category. WSP was the MEP system peer reviewer. 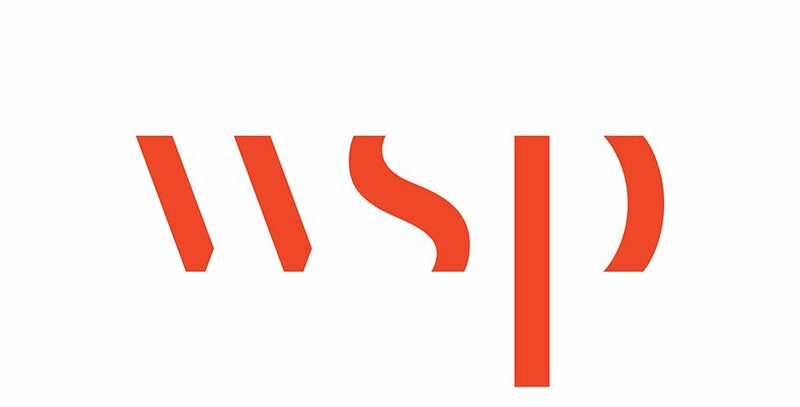 Contact us to know more about WSP Wins at the 2019 Tall + Urban Innovation Conference.